As he further pursues his narrow idea of going for a third term in 2021 President Edgar Lungu wants to replace State house permanent secretary Christa Kalulu with his personal errand boy Chanda Kabwe, but he is scared of repercussions as Kalulu is a ‘girl’ positioned by his master and former President Rupiah Banda. 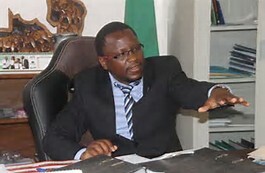 A well positioned source at state house has told the Watchdog that Kabwe, who is currently central province permanent secretary is more user friendly for corruption than Kalulu hence the decision to bring him to corridors of state house. Kabwe is also the national patron for Lungu’s marketeers and street vendors empowerment fund, a project of stealing public money and giving it to PF cadres. “He means business with the 2021 endorsements but as you may be aware MMD may not take this endorsement well so he wants his errand boy to be here so that he can be using him to bribe people who shall be making country wide endorsements so soon you will see Kabwe come to State house but the only obstacle is RB because Christa is a girl for RB,” said the source and further added that Kabwe has since been informed about the development and is ready to take it. 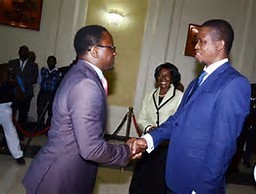 Lungu has since launched country wide trips dishing out money to people and organisations to openly endorse his desire to go for a third term in 2021, a move which is being challenged by the Law Association of Zambia – LAZ, UPND and Heritage Party leader Brigadier General Godfrey Miyanda.